There maybe a little less buzz around it, but as well as marking Halloween, 31st October has also been designated World Cities Day by the United Nations. There are no costumes needed and pumpkins do not feature. Instead, the day is meant to promote sustainable urban development and highlight the best ways of dealing with the challenge of urbanization. What better day then to look at the biggest, the best and the most popular cities as well as others making their mark on our changing world. 1. These are the world's most visited cities in 2016 . Measured by international overnight visitors, this year the top city isn't in Europe, the United States, India or China. 2. 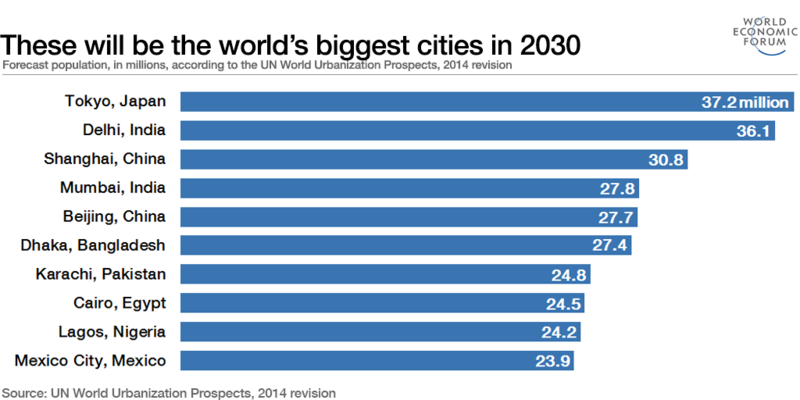 The world’s 10 largest cities by 2030 . Sixty-five years ago, a population of 12 million was enough to see New York take the world’s biggest city crown. In just 14 years’ time, the biggest city is forecast to have a population of 37 million, and it's not the Big Apple. 3. The best cities in the world? This is what people think . What do the best cities have in abundance? A good mix of economic strength, solid infrastructure, innovation, influence, great entertainment, culture and food. Here are the ones that do it best. 4. 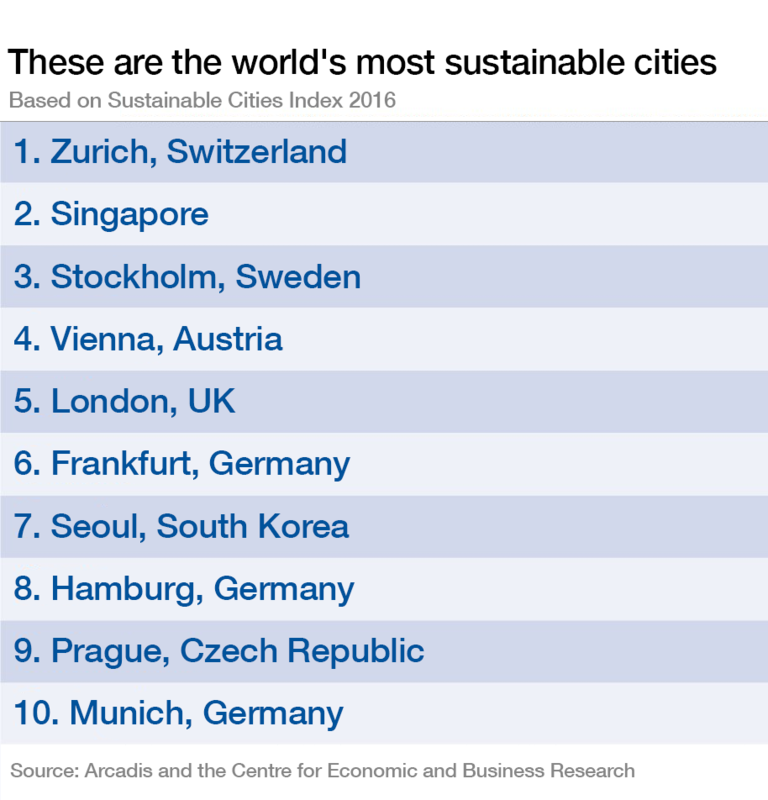 These are the world’s most sustainable cities . What does it mean to be a "sustainable city" – and which cities are managing to do it well? 5. Watch how cities spread across the world over 6,000 years . Ever wondered where the world’s first cities were? This animated map will tell you. 6. 4 ways smart cities will make our lives better . The lives of city dwellers could change drastically much sooner than we think. 7. These are the world’s most liveable cities . Melbourne takes top spot for the sixth year running. The ranking is based on an assessment of which cities around the world provide the best or the worst living conditions. Points are awarded across five categories – stability, healthcare, culture and environment, education and infrastructure. 8. You knew China's cities were growing. But the real numbers are stunning . 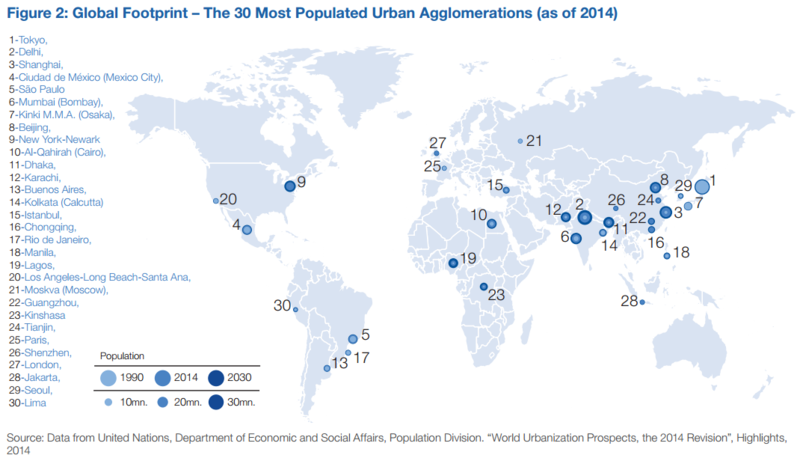 By 2030, Chinese cities will be home to more than 1 billion people – or up to 70% of the population. Here's a look at some of the mind-boggling statistics from China’s urban world. 9. Which are the best cities for students? Paris has been ranked the top student city in the world for the fourth year running. So what makes the City of Light such a popular place to study?